The SUSE Roadshow will visit six locations in Finland. Seravo Oy will be co-hosting the event at Tampere, where it will be held at Bravo Plaza, which is located just next to our office at the Finlayson area. 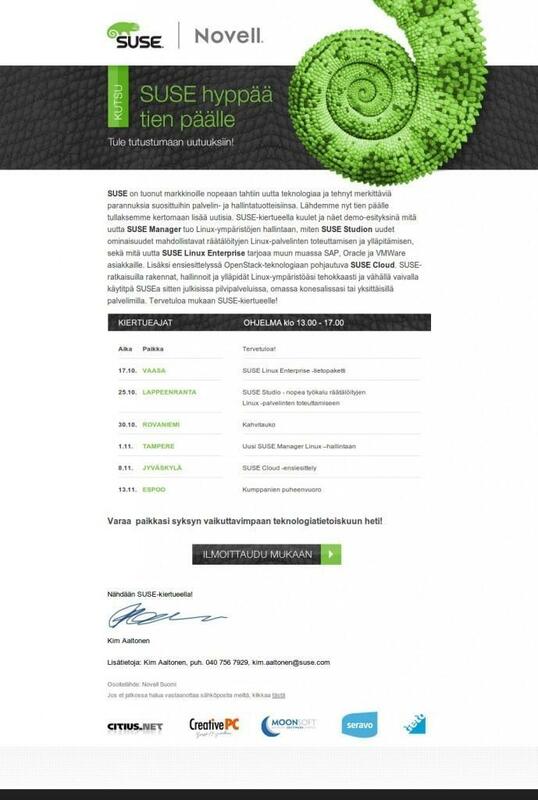 Lately SUSE has released several new products (all of course based on open source software) and there will be presentations about SUSE Enterprise Linux 11 SP2, SUSE Manager, SUSE Studio and SUSE Cloud. Last but not least, there will also be a great presentation by Seravo. Update: The presentation was published in English as the blog article The fastest web server in the world. Want to attend? Register now! 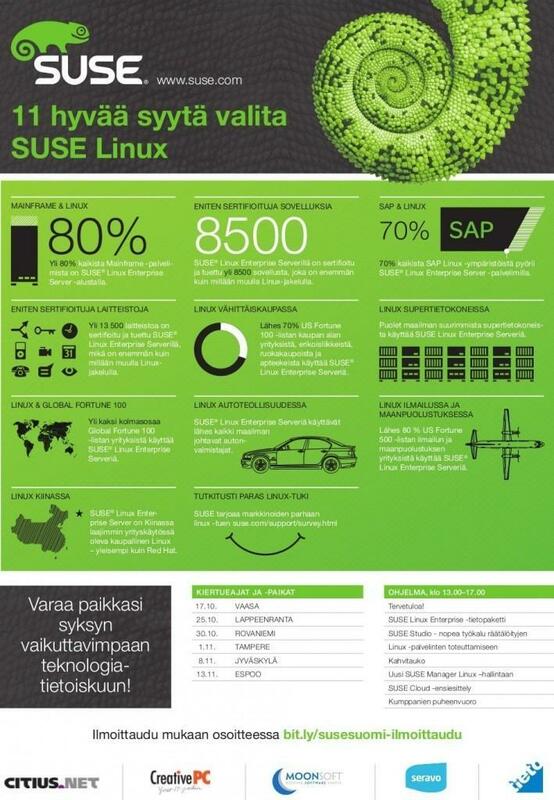 Where SUSE leads fact sheet is available in English at SUSE.com.